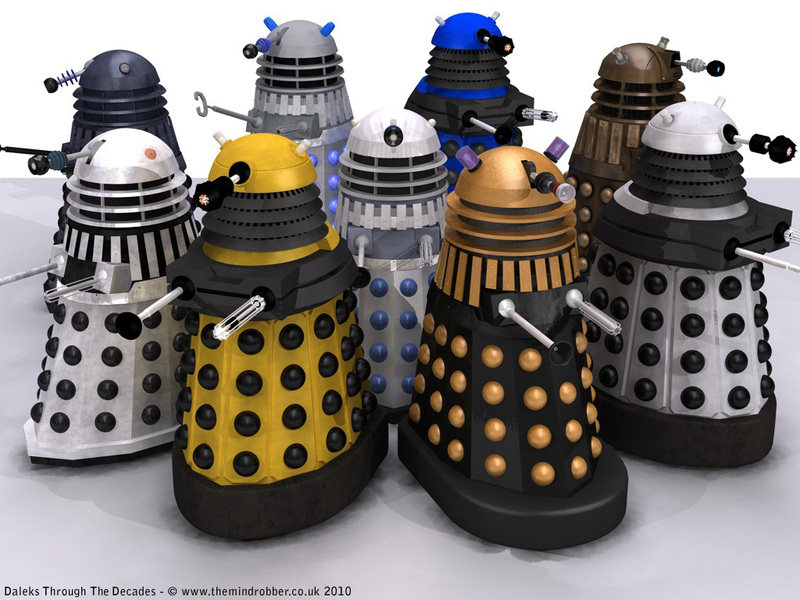 Asylum of the Daleks opens 2012 Doctor Who series | The Daily P.O.P. For the ‘uninitiated,’ Doctor Who is the longest running science fiction program on TV. Developed by Sydney Newman, the program was intended for family viewing using science fiction and fantasy concepts to entertain and educate at the same time. Scripts ranged from historical adventures to gripping sci-fi drama, but were always approached from a perspective that considered the audience’s intelligence. Many of Newman’s early notes specify that they must respect the viewer. Despite Newman’s devoutly aggressive stance against Bug Eyed Monsters, it became a phenomena after the Daleks were introduced in a groundbreaking episode called the Dead Planet. 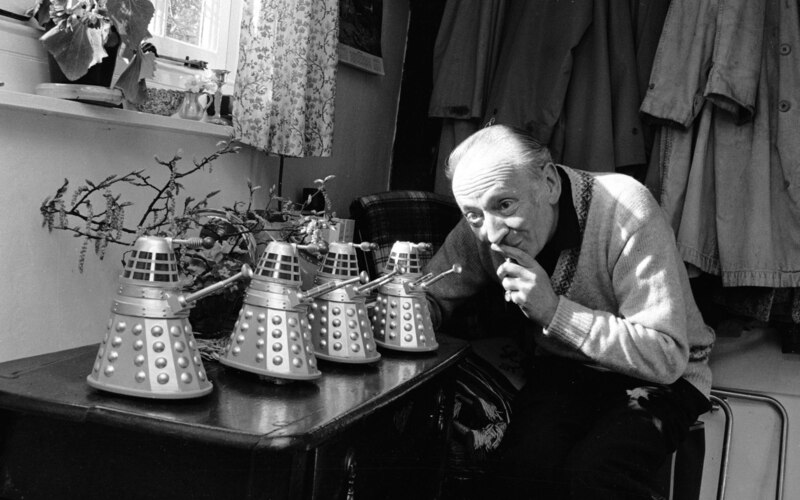 Over the program’s 26 years, the Daleks grabbed the attention of viewers and the media, drawing viewers in the millions each time they return to the screen. 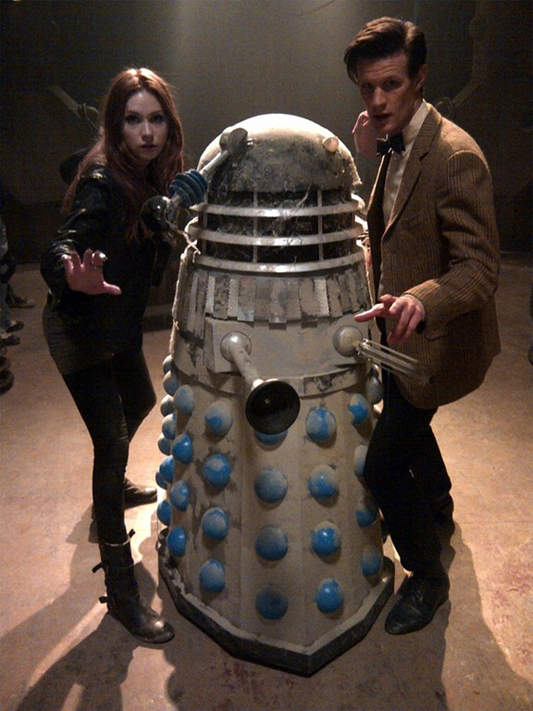 When Doctor Who was revived in 2005, the Daleks were not far behind. They have since become popular all over again, gaining a new following as Doctor Who has gained a strong popularity in the UK and now in the US as well. The latest series of Doctor Who under head writer/producer Steven Moffat has garnered a massive following. It is strange to see Doctor Who products everywhere I turn and hear people talk excitedly about something that years ago was only shown on public TV stations late at night. I have mixed feelings about the ‘new Doctor Who’ as it shares so little with the project envisioned by Newman, but I’m in the minority on that one. New Doctor Matt Smith is the youngest actor to date to play the part (though the actors keep getting younger it seems) and embodies a healthy mixture of the new ‘pop idol’ vision of the Doctor and the classic Doctor as played by the late Patrick Troughton. This will be his third year piloting the TARDIS and the 50th anniversary of the program, so expect to see his name and hear more about Doctor Who than ever before. To get the landmark 50th series started, the big guns are being rolled out… literally. Redesigned by Peter McKinstry, the latest iteration of the Dalek design has been divisive in fandom. The 7th series of Doctor Who will open with a story that boasts the appearance of ‘every Dalek ever’ which entails a lot. The episode, which has been described as including “every Dalek ever”, was named in the Institute’sadvance programme. The screening will include a Q&A session with writer and show runner Steven Moffat plus other members of the cast and crew yet to be confirmed. The television premiere of the episode has yet to be announced; however, last year’s Let’s Kill Hitler received both a BFI and MGEITF premiere in August prior to its broadcast on the Bank Holiday weekend, which for this year would be Saturday 25th August. This Post was posted in Dr Who Series Seven and tagged daleks, doctor who matt smith. Bookmark the permalink. Wouldn’t that be a Dalek-atessen? On a more serious note… I wonder if the title change came with a change in story? “Ruins of Skaro” makes me think perhaps of a story set not too long after the 7th Doctor blew up Skaro with the Hand of Omega… As I re-watch older Doctor Who, it is clear that the new Who has borrowed a lot from McCoy’s era. Asylum of the Daleks doesn’t sound so much like an alternative name as it does a potentially different story. I would not think of the names as interchangeable for a story that didn’t also undergo some rewrites. Yes, I had thought of that. Of course just because a title is “rumoured” doesn’t mean it was *actually* ever considered! Although the Seventh Doctor era has been something of an influence (and Virgin’s New Adventures too) I doubt they would make a *direct* reference to the *ending* of Remembrance for potentially confusing continuity reasons, the same with Evil of the Daleks, they might, however, *rip them off*! Asylum is still an awful title with unfortunate resonances, unless they’re using the word in the sense of “seeking asylum” which is unlikely. Heck, Ruins is still a great title.